This dev blog has been updated with changes to the plan made with help from the EVE community’s comments, discussion, and feedback. We also wish to remind all structure operators that they are strongly advised to pre-set new reinforcement day and hour values for their structure before the patch deployment on February 13th. Structure reinforcement day and hour values can be pre-set through the right click menu in the “My Structures” tab of the structure browser (the same place where you can change the old style vulnerability windows). All structures that do not have a pre-set reinforcement day and time by the downtime of February 13th will have their reinforcement day and time set to Saturday at 18:00 EVETime. The reinforcement day and time can be pre-set as often as you want before the patch with no delay, but after the patch downtime new changes to the day and time will require 7 days to take effect. Hello again daring capsuleers and welcome to today’s dev blog. This blog will cover the plans for a major set of improvements to Upwell structures coming your way next month! 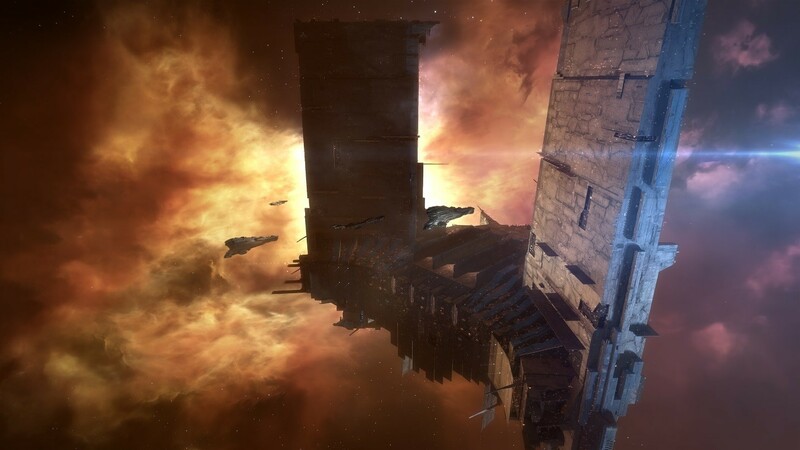 In the year and a half since the initial introduction of Citadels, advancement of both new and existing Upwell structures has been a huge part of EVE Online’s ongoing development. Upwell technology has been advancing through the addition of new features to existing structures (such as industry, repair, and contracts) and new specialized structures in the form of Engineering Complexes and Refineries. Over this time, we have also been looking for the ways in which the basic structure mechanics introduced with Citadels could use a rework. Many aspects of these mechanics have worked out well in practice over the last year, but it has become clear that other aspects need to be changed for these structures to best serve the EVE community. This upcoming release is intended to address several issues with the fundamental Upwell structure game systems in one combined package that we are calling “Upwell Structures 2.0”. It will be an extremely significant set of changes to most aspects of interacting with these structures and we are very excited to be getting close to the public testing phase of development. We first announced the plans for this package of changes at EVE Vegas 2017, and the basics of what we discussed with you all in Vegas still apply. At that time, we told you that the Upwell 2.0 release was planned for sometime in Q1 2018, and we are now happy to be able to announce that these changes are part of the February release, which is scheduled for February 13th 2018. We want to give a special thanks to all the players who have been communicating your feedback on these features to us over the past year and a half. Whether it’s through the forums, responding to our email surveys, creating your own blogs and podcasts, events like Fanfest and EVE Vegas, or by passing your feedback to the CSM, we rely on feedback from the community to allow us to identify issues and improve the game for all of you. Your feedback has affected virtually every part of these changes including their schedule. As we discussed at EVE Vegas, we moved the priority of these changes up above that of the faction citadels and outpost replacement plan thanks to your feedback. 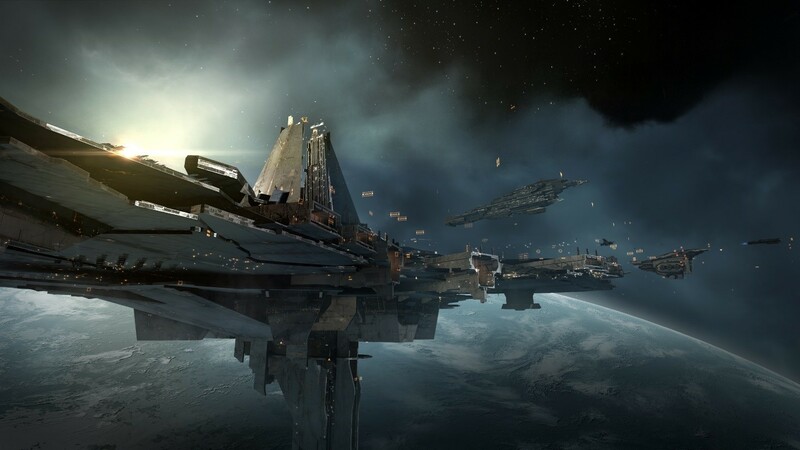 We do still intend to complete the plans for faction citadels and outpost replacement, however that release is currently planned for a bit later in the year to make room for the Upwell 2.0 development process to take priority. In addition to the four pillars, this release will also include a significant set of other smaller changes to Upwell Structures and their associated mechanics. 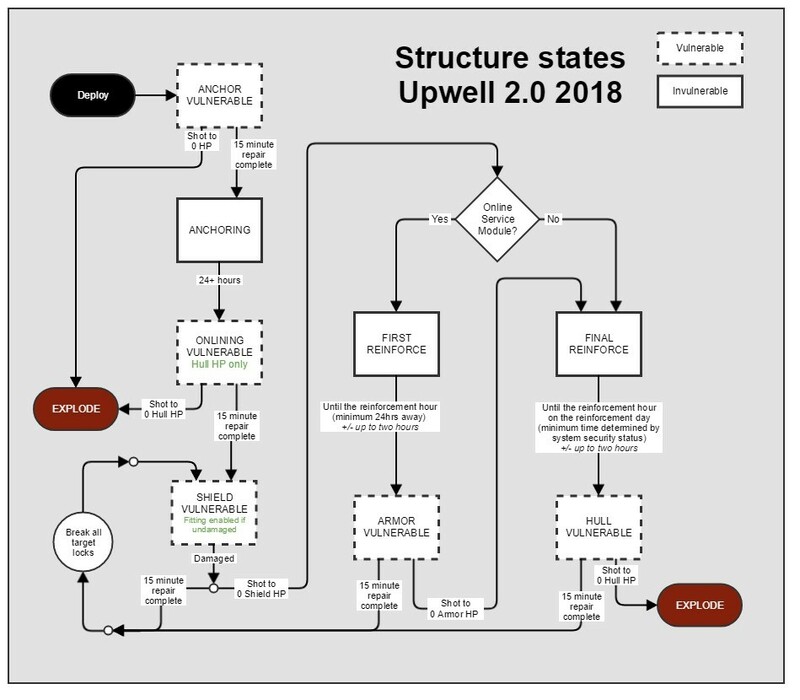 The first major change to Upwell structures coming in February is the addition of new modes tied to whether service modules are online and consuming fuel in the structure. If a structure has at least one service module online, then it is considered to be at “full power” and it receives full strength defenses. If no service modules are online in a structure it is considered to be in a “low power” state and receives significantly reduced defenses until a service module is activated. The intent of this feature is to more closely tie structure defensibility to the investment and use of the structure. It will enable players to more easily clear uninhabited Upwell structures while preserving defensive options for structures being used for their services. Any Standup service module will enable “full power” mode on a structure, so structure owners can make use of any of the many service modules depending on their priorities and needs. Running more than one service module does not increase the “full power” bonuses, although each service module does continue to provide their own service benefits for structure users. The systems surrounding the attack, reinforcement, and destruction of structures has been one of the most heavily discussed aspects of the Upwell structure design from the very beginning. This system is an especially challenging area of design as it requires a careful balance between the needs of attackers and defenders in any structure conflict. As owners and defenders of a structure, players need the security to ensure that their home will not be destroyed out from under them while they sleep. As aggressors against structures, players need the ability to inflict damage and generate conflict. 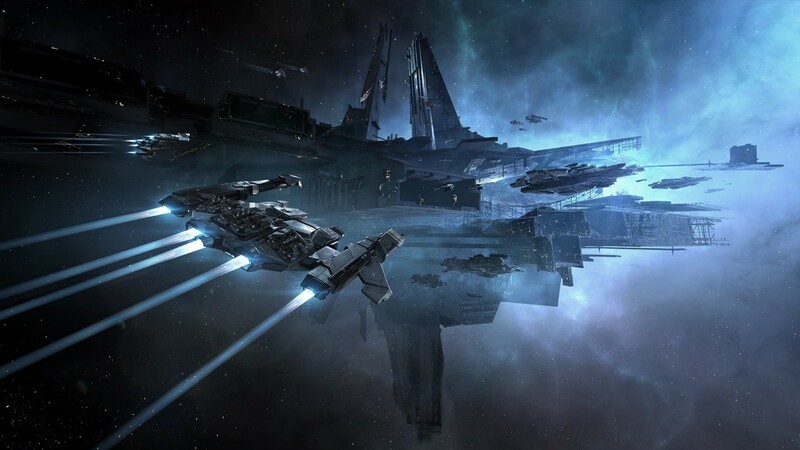 This balance is further complicated by the huge variety of players and organizations in EVE. 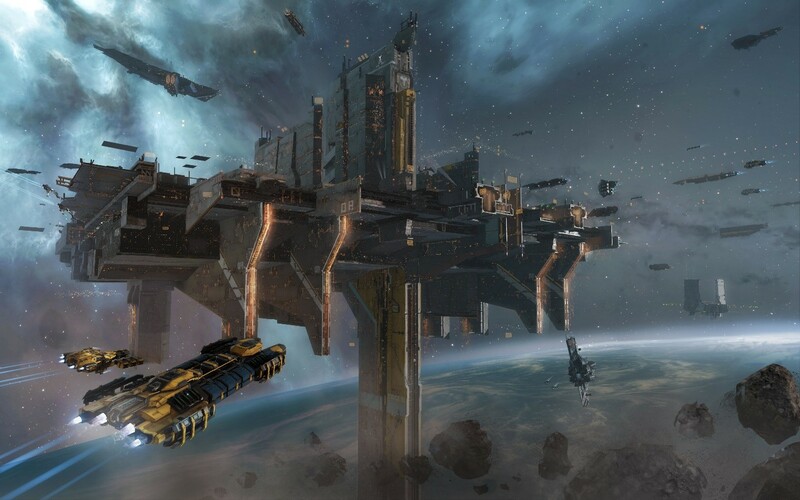 From our observations, research, and community feedback over the past year, we believe that the vulnerability and reinforcement system used by Upwell structures since the Citadel expansion have been too unbalanced in favour of the defender. With this in mind, Upwell structures 2.0 includes a complete re-imagining of vulnerability and reinforcement for these structures. Under this system structure owners will choose an hour of the day and a day of the week as their structure’s reinforcement time and reinforcement day respectively. Any changes to this reinforcement day and time take 7 days to take effect from the moment the changes are queued, and if the structure is damaged or reinforced when the 7 days have elapsed the change will not take effect until the structure returns to full health. This reinforcement information will be obtainable by potential attackers using a relic or data analyzer module. Activating one of these analyzer modules will open a hacking panel similar to those found in exploration sites. 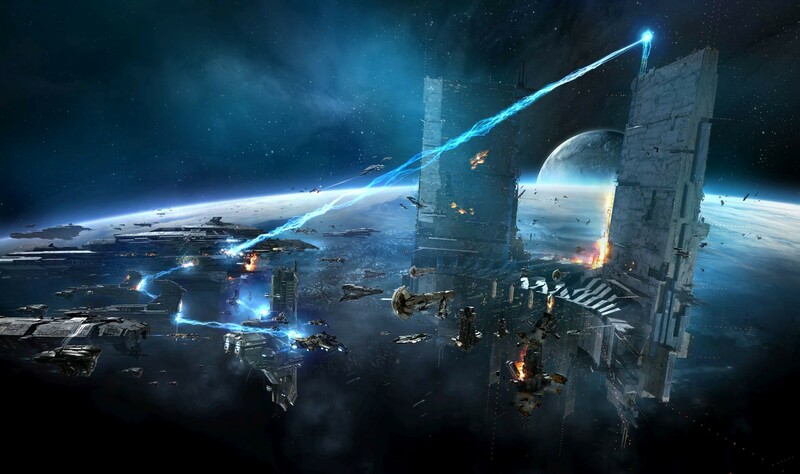 The difficulty of the hacking challenge will scale depending on the size of the structure being investigated, with XL structures providing a more difficult hacking challenge than any previously available in EVE Online. After a successful hack a window will appear with the full information on the structure’s current reinforcement time and day, as well as any queued changes and the time that those changes are planned to take effect. Knowledge of the structure’s reinforcement time and day is crucial for potential attackers who wish to determine when their future fights would take place as well as plan how long they wish the structure to spend reinforced. Under this new system, the shield hitpoints of Upwell structures will be vulnerable to attack at all times. The mechanics of attacking the structure will remain largely consistent with the old system, including the same 15-minute repair timer and the existence of damage caps. If the shield hitpoints of an Upwell structure are completely destroyed, the structure will enter a reinforced state. If the structure is in full power, it will enter the first of two reinforcement cycles. If the structure is in low power mode it will skip straight to its final reinforcement cycle. First reinforcement cycles last for between 22 and 50 hours, depending on when the attack takes place relative to the structure’s reinforcement time and on a random element. When a structure enters this first reinforced mode it determines when to become vulnerable again by looking forward to the next reinforcement time that takes place at least 24 hours after it entered reinforced mode and randomly adding or subtracting some amount time up to two hours in either direction. This means that the structure owners will always have about one day’s notice that they need to form for a fight, and that the fight will take place at a random time within a four hour window centered on the time chosen by the defender. This also means that an attacker with proper investigation can plan for approximately when the structure will leave its first reinforcement period and control what day that reinforcement exit takes place to generate conflicts on dates of their choosing. When the structure exits its first reinforcement period the armor hitpoints become vulnerable with the standard 15 minute repair countdown. If a full power mode structure loses its armor hitpoints (or if a low power mode structure loses its shield hitpoints) the structure enters a final reinforcement period. The duration of final reinforcement cycles depends on when the structure enters the reinforcement, what reinforcement day the owner of the structure has chosen, and the area of space the structure is located within. This means that the final battle for a structure will always take place on the day of the week chosen by the defender, within a four hour window centered on their selected reinforcement hour. Just as in the previous system, all a structure’s service modules will go offline while the structure is in this final reinforcement period. When a structure finishes its final reinforcement period its hull hitpoints become vulnerable to attack. At this point the structure may be destroyed once and for all with a successful attack and final battle. Under this new system a random unscouted attack against a full power Upwell structure could lead to a set of reinforcement timers with a maximum combined duration of 14 days in highsec, 11 days in nullsec and lowsec, and 9 days in W-space. However, a prepared attacker that hacks the structure for its reinforcement information ahead of time can ensure that those durations drop to 7 days in highsec, 4 days in lowsec and nullsec and 2 days in W-space. This highlights the importance of hacking potential target structures to obtain the best possible information for your planning. This new system also enables clever attackers to ensure that the first reinforcement period for a full power structures will exit during a weekend to generate potential fights by launching initial attacks against structures on Thursday evening, Friday, or Saturday in preparation for the next day’s reinforcement hour. The third major pillar of this Upwell structure revamp is the largest set of structure combat balance changes since the introduction of Citadels. Combat alongside, against, and near Upwell structures is an important part of the EVE metagame and it needs continued iteration to ensure that the experience is the best it can be. The key goals of these changes are to make structure combat more interesting and enjoyable for structure gunners, structure defenders, and structure attackers. This means focusing on mechanics that provide players with choices and opportunities to display their skill, and that have effective counterplay available. One significant component of this combat overhaul is the addition of new burst projector superweapons to Upwell structures. These powerful disruptive weapons are currently primarily available on supercarriers and allow the operator to place area of effect disruption bursts anywhere in the battlefield remotely. The disruption bursts are visible before they take effect, allowing opposing pilots to see them coming and evade their impact range. The initial pass of structure burst projectors includes AoE target painter, weapon disruptor, energy neutralization, ecm jammer, sensor dampening, stasis webification, and warp disruption bubble effects. The addition of the new Standup Energy Neutralization Burst Projector will replace the functions of the Standup Void Guided Bomb, which has been causing balance issues. 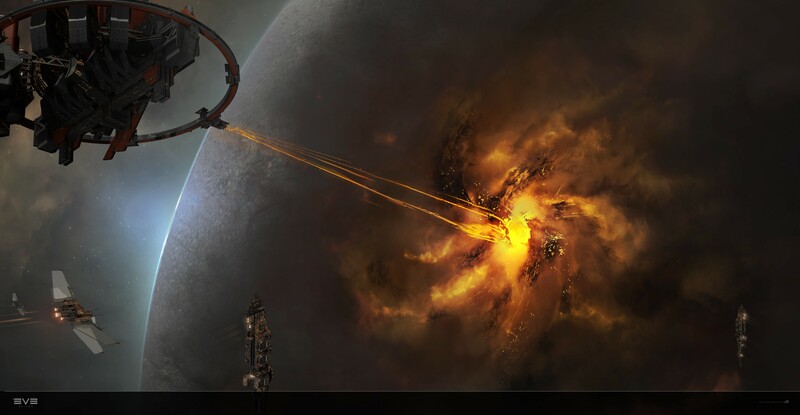 The Neutralization Burst Projector requires more skill and forethought to use and has significantly more counterplan available, making it a better choice overall for the EVE combat environment. When the Upwell Structures 2.0 release deploys on February 13th all existing Standup Void Guided bombs and their blueprints will be converted automatically to Standup Light Guided bombs and their blueprints. These new Standup Burst Projector modules are able to be used on all Medium, Large, and XL structures. The Large and XL versions of Upwell Structures are especially well suited to use these modules as they will receive a role bonus to the rate of fire of Burst Projectors and Guided Bomb Launchers. Another major component of this combat rework is a re-imagining of structure fighters. Currently Upwell structures may launch the same types of fighters used by carriers and supercarriers, but these fighters do not receive any benefits from skills or ship bonuses. As a part of this release, Upwell will be releasing dedicated Standup variants of every fighter used by capsuleers. These new fighters will be much more powerful than their standard variants, and will only be able to be launched by Upwell structures. Building these new Standup fighters will require a standard fighter plus some additional input equal to approximately 25% more material value. The blueprints for these Standup fighters will be available seeded on the market from any Upwell Consortium member station (the same locations where other Upwell BPOs are seeded). Not willing to be outdone, Sansha’s Nation WISHES TO EXPAND ITS BORDERS has released its own structure-capable upgrade package for the Shadow heavy fighter that can be purchased in BPC form from Sansha’s Nation loyalty point stores. On patch day existing fighters will need to be upgraded to Standup variants in order to be launched from Upwell structures. Since fighters will now be playing a larger part in structure gameplay Upwell has also upgraded the fighter interfacing software for all of their structures. Staring with the Upwell 2.0 release, whenever a capsuleer leaves the gunner position of a structure (or two capsuleers swap) any fighters launched from that structure will not be abandoned. They will remain connected, disengage from combat, and automatically start flying back to the structure for recovery. New gunners will then be able to issue them commands immediately if desired. These new Standup fighters will continue to not require any capsuleer skills to operate, and therefore will not benefit from those skills. However, their powerful base stats more than make up for the lack of skill bonuses. They enjoy massive bonuses to dps, hitpoints, speed, and sensor strength that make them powerful forces on the battlefield. Fighters provide an element of positional and movement gameplay that is otherwise unavailable to structure gunners, which is why we are especially excited to upgrade structure fighters into a state where they will become a major part of these battles. The structure combat overhaul will also include a major rework to structure combat modules. The fitting gameplay options and choices available to structure owners has been lacking compared to ship fitting gameplay and we intend to start closing the gap with the Upwell 2.0 release. The largest change to modules in this release will be the addition of new T2 Standup modules. These will provide upgraded functionality to all the major combat modules for Upwell structures and introduce numerous new fitting options. Entirely new module categories will also be brought to Upwell structures, including capacitor power relays, capacitor batteries, armor reinforcers. To go along with these new fitting options, we will also be adjusting the balance around structure fitting stats and module stats to bring more interesting gameplay to structure fitting. Expect CPU and Powergrid decisions to matter much more after this release, especially if you wish to take advantage of the new T2 modules. The fitting requirements of service modules have been reduced significantly, and structure Powergrid and CPU pools have been reduced to compensate. Structure weapons are also receiving a balance pass, with anti-capital damage generally reducing and anti-subcapital damage generally increasing. The Standup Heavy Guided Bombs (formerly known as Standup AM Guided Bombs) will also be receiving a significant increase to their explosion radius to better differentiate them from the Standup Light Guided Bombs (formerly known as Standup AS Guided Bombs). All of the Standup missiles and launchers are also being renamed to more clearly show their roles and remove their over-reliance on acronym gobbledygook. Structure tackle modules will also be receiving major updates with this release. These powerful modules can often become oppressive with their ability to keep single targets tackled and webbed indefinitely. It is especially important for us to address these modules now since the addition of 24/7 shield vulnerability means structures will be able to activate their tackle modules at all times. To solve these issues, we plan to add a reactivation delay to the Standup Focused Warp Disruptor (formerly known as the Standup Warp Scrambler) and Standup Stasis Webifier modules that prevents them from being cycled constantly without breaks. The current plan is for them to activate for 30 seconds, and then need to wait one minute before activating again. The Standup Focused Warp Disruptor will also be changed to become scriptable, with a longer-range disruptor mode and a shorter-range scrambler mode accessible through a script. Combined with these changes they would also be limited to a maximum of one copy each fitted to a structure. The intent would be for these modules to be used strategically to grab tackle long enough for an allied ship to get their own point, or in conjunction with the new AoE webs and bubbles. After some productive discussions with the CSM at our recent summit meeting, we will also be increasing the locking range of Upwell structures significantly to better enable them to engage with targets at extreme ranges. Base lock range of Upwell Structures is planned to increase to 350k, 380km, and 400km for medium, large and XL structures respectively. Additionally all Upwell Structure will gain the ability to increase target range further to a cap of 490km through the existing targeting speed rigs and modules which will be expanded to also provide targeting range bonuses in addition to their current benefits. The final major pillar of the Upwell Structures 2.0 release is the single most requested structure addition from the community over the past several months: moon mining gameplay in wormhole space and highsec. Starting on February 13th capsuleers will be able to anchor refinery structures at the moons in 0.5 security highsec systems and in any w-space systems that contain moons. The mechanics of scanning, extracting, fracturing, and mining in these systems will be exactly the same as it is for existing moon mining in lowsec and nullsec systems. These moons will contain a randomized selection of upgraded standard mineral ore variants, as well as some of the most common varieties of moongoo ores in lower quantities than those available in lowsec and nullsec. 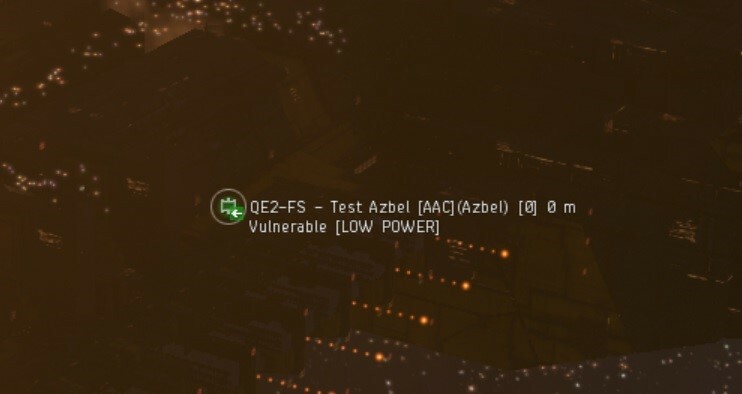 To provide more time for final battles (especially in high load situations), the final hull repair timer for Upwell Structures has been doubled from 15 minutes to 30 minutes. The damage messages received when attacking structures will now properly display the amount of damage your weapons are inflicting even if that damage is being deflected by the structure damage cap. Instead of listing your attack as “0 damage”, you will see the potential damage with a note of how much of that damage was deflected. We are currently investigating adding asset safety costs to the killmails for structures so that attackers would be able to clearly see how much damage they inflicted. This will not be ready in time for Upwell 2.0 and we cannot guarantee it at this time, but we are hopeful that it will be possible in the future. Another issue that the CSM raised at our recent summit meeting was the removal of structure rigs before destruction to deny satisfaction to the attackers. To solve this issue, destruction of fitted rigs will no longer be possible while a structure is damaged. Rigs will essentially follow the same rules as modules. A new icon has been added to structure brackets in the overview and space scene to indicate whether you currently have permission to dock in that structure. This indication will make it much easier to determine which of the structures on a grid are open to you. It is however important to remember that even if one of your characters has permission to dock in a structure, that doesn’t mean that your other characters necessarily have the same permissions. NPC corps may now be added to access lists in the same way that player corps can be added. This will allow ACL admins to add specific NPC corps such as rookie corps and FW militia corps to their permission lists as needed. It is now possible to self destruct pods inside a citadel with a cloning bay service module, just like you can in a station. Most of these changes and new features will be showing up on the test server in the near future for the community to try out and see what you think. We will be creating specific feedback threads with numbers for many of the balance changes such as the new modules and fighters, so keep an eye out on the official forums for those to appear in the coming days. We highly encourage all interested players to hop onto the Singularity public testing server and try these changes out for themselves. One important task to complete before the February 13th patch day is to pre-set the reinforcement hour and day for your active structures. This can be done through the structure browser in the same place where current vulnerability schedules can be changed. We will be releasing new reports as reminders between now and the Upwell 2.0 patch to ensure that everyone has a chance to prepare. Once again, we want to give a huge thanks to everyone who has been passing along feedback on the existing structure system and on these new proposed changes. We will be reserving space in the comments thread for a FAQ and some example scenarios and we encourage you all to ask questions and let us know what you think there. Thanks for joining us for this dev blog today and fly safe!